The Most Filling Smoothie — Oh Wonderful! Some updates over here: I’ve been doing a laissez-faire elimination diet for the past week and it’s been going not badly! Aside from incorporating way more veggies into my lunches and dinners, my breakfast routine has also undergone a sizeable shift. No more coffee (hi, tea!) and no more toast or sugar-infused oatmeal. I’ve gone back to smoothies, my once dreaded breakfast of days past. My main problem with smoothies was that they were never filling. Within an hour, my stomach was already grumbling for something else. So I hacked together a new smoothie, concocting one with some mad scientist-esque ingredients. Totally kidding. This one holds me over for a good two to three hours, instead of just 20 minutes. The secret here is more fats and protein, but healthy fats! Think coconut oil, chia seeds, and leafy green vegetables. 1. In a small cup, combine your chia seeds and coconut milk and set aside for 20-30 minutes. 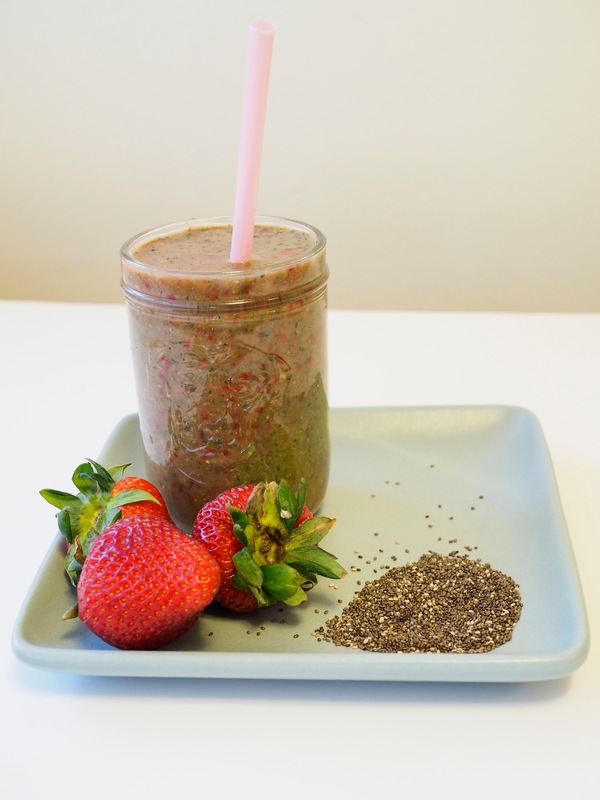 The chia seeds will expand and become a bit gummier – just more substance for your smoothie! 2. It couldn’t get any easier, just blend together everything else and enjoy! Pingback: Banana Mango Chia Seed Smoothie — Oh Wonderful!